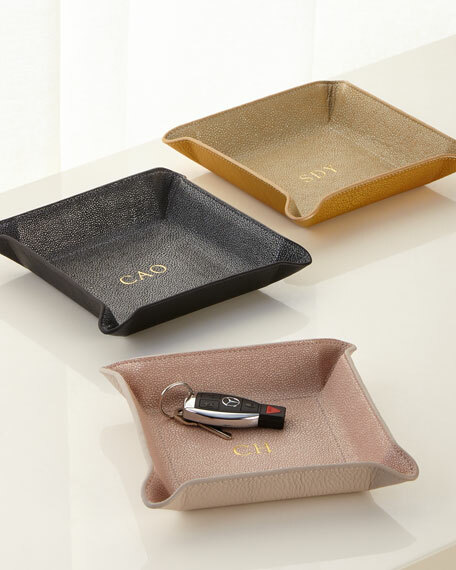 Makes a great travel companion - pack it flat for the journey and then snap together when you arrive to form a rich travel valet. 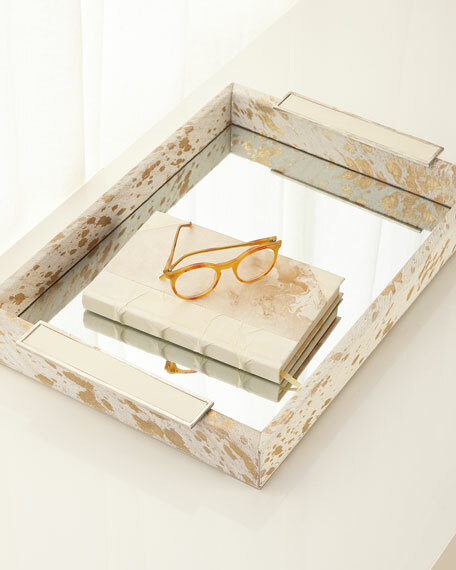 Plus use on the dresser as an inbox to keep coins, car keys, jewelry and accessories. 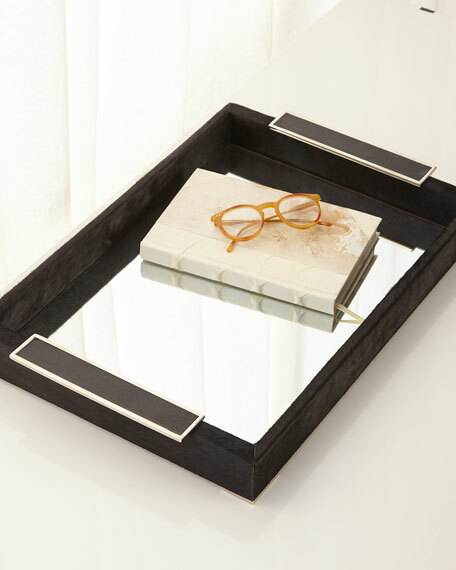 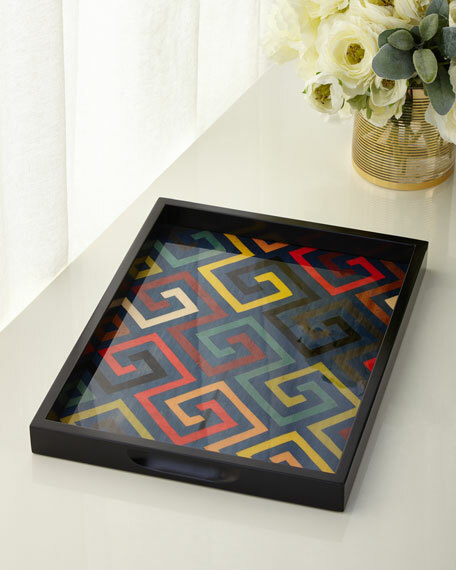 Our Valet Tray will keep your articles organized and easily accessible. 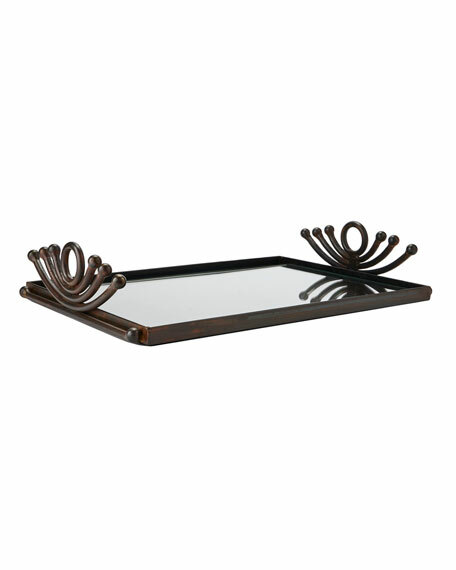 Genuine leather valet tray with snap corners. 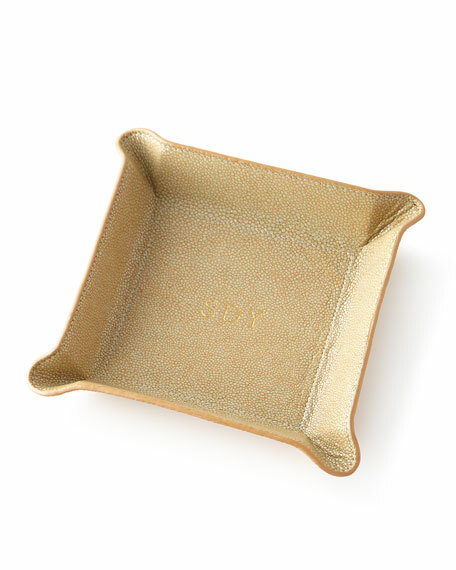 Personalized with up to three initials in font and style shown.